Bursting into tears wasn’t exactly the reaction I’d hoped for after ushering my friend into her suite at The Grand Hotel & Spa York. Staring in horror as tears slid down her face, I asked her what was wrong. “Nothing is wrong at all”, she said, “this is just overwhelming.” Collapsing onto the plush sofa that filled the Heritage Suite, she grabbed a glass of champagne before adding: “this might be normal for you two nowadays, but for me this is really special.” Leaping to reassure her that this was certainly not how we usually travelled (anyone remember the night we camped in a yurt in Dartmoor – in February? ), Laura and I rallied round. Truth be told, we were equally overwhelmed by the bubble of luxury surrounding us. As Laura’s neighbour in university halls over 13 years ago, Jenny is the friend that dragged us (kicking and screaming) into adulthood. Patiently teaching us to cook; helping us to bury the many hamsters we amassed over the student years; reading our essays and being one of our closest companions ever since, we owe Jen a lot. With her wedding fast approaching, we therefore wanted to plan a special weekend away to say ‘thank you’ for her many years of (no doubt testing) friendship. 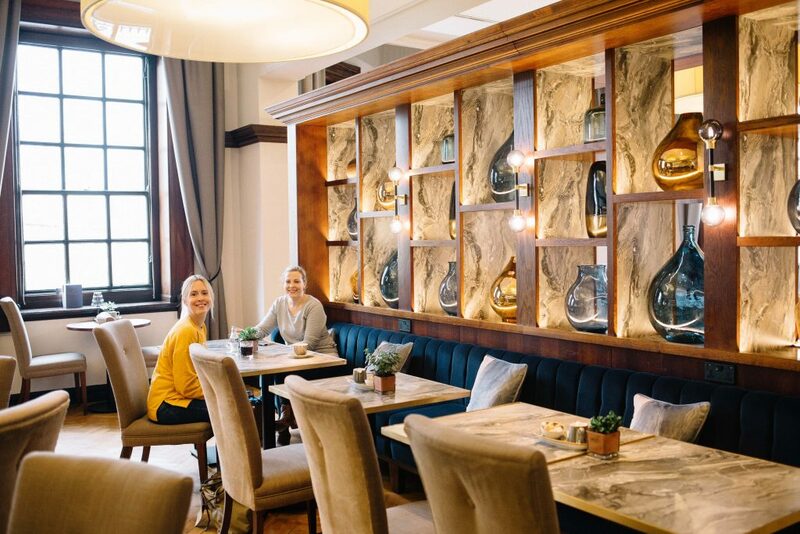 Knowing that York was one of her favourite cities, we teamed up with Preferred Hotels & Resorts for a luxury stay at The Grand Hotel & Spa York. 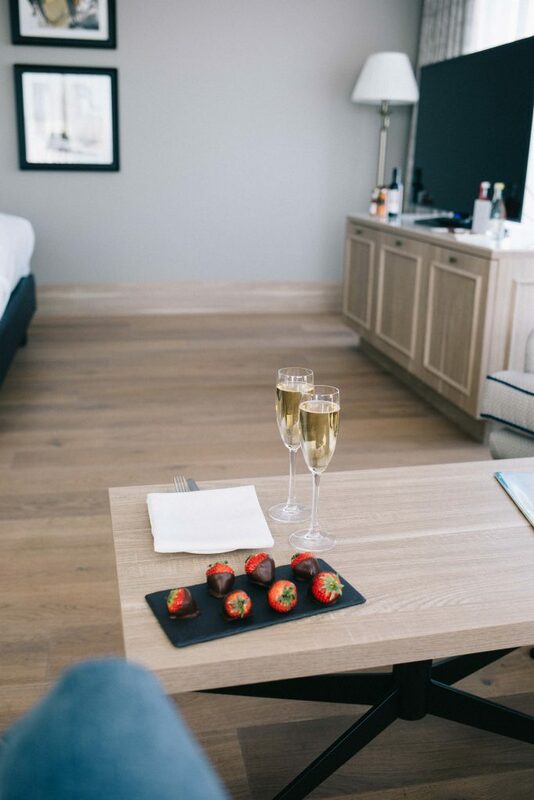 Taking in the sun-filled suite, a glass of complimentary champagne in hand, it was only now that I realised just how special this stay would be. As (reluctant) adults with busy lives, weekends away together were rare, and we couldn’t wait to catch-up: reminiscing about lives that once revolved around Heat magazine and – bizarrely – Most Haunted. 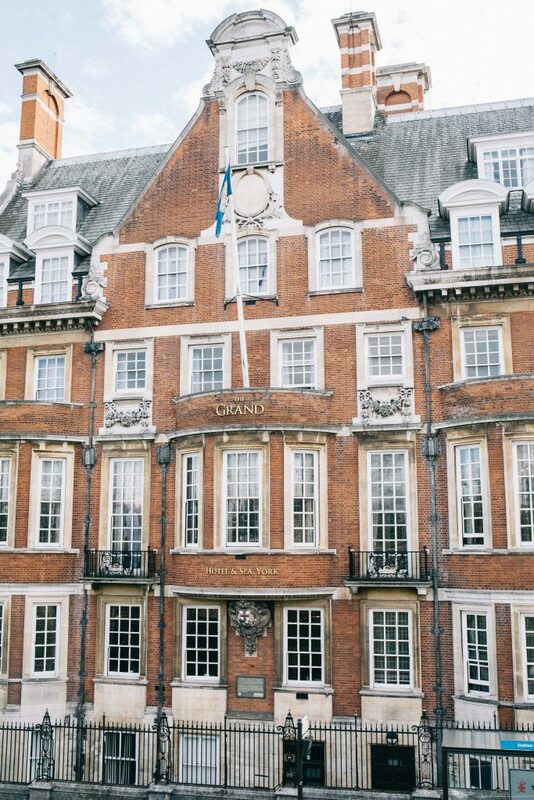 Below is a round-up of our stay at The Grand Hotel & Spa York, as well as our weekend activities in one of the UK’s most visited (and loved) cities. Located almost perfectly between London and Edinburgh, – and voted the best place to live in the UK – York is the ideal weekend break. We jumped on the London North Eastern Railway, which runs a regular service from London’s King’s Cross to York in just under two hours. Centrally located, the train station is a short walk from the city centre (and a hop, skip and a jump from The Grand Hotel York). Trains from Manchester, Newcastle and Liverpool also run a regular service to York, via the TransPennine Express. Jenny’s tears now replaced with shrieks of excitement (if there’s anyone who likes a complimentary Nespresso pod, it’s this girl), I felt it safe to explore the rest of the hotel. Built in 1906 as the magnificent offices for the North Eastern Railway Company (once one of the UK’s richest companies), The Grand Hotel & Spa York is a gleaming Edwardian jewel. 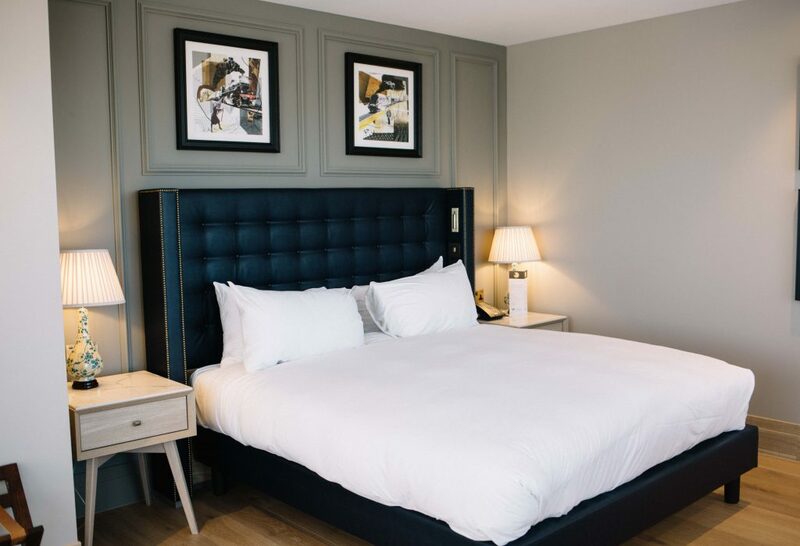 Restored to its original splendour in 2010, the hotel neatly combines the original turn of the century building with a new, tastefully designed extension that’s filled with windswept views across the city. My room (shared with Laura), was housed in the newer addition to the hotel; the lift to our floor opening up to reveal a glass-filled atrium. Outside on the hotel’s roof sat a neat row of beehives: the honey harvested for use at breakfast time. Our home for the night was a Classic Room, which was exceptionally spacious and conveniently located next door to the pièce de résistance: Jen’s Heritage Suite. 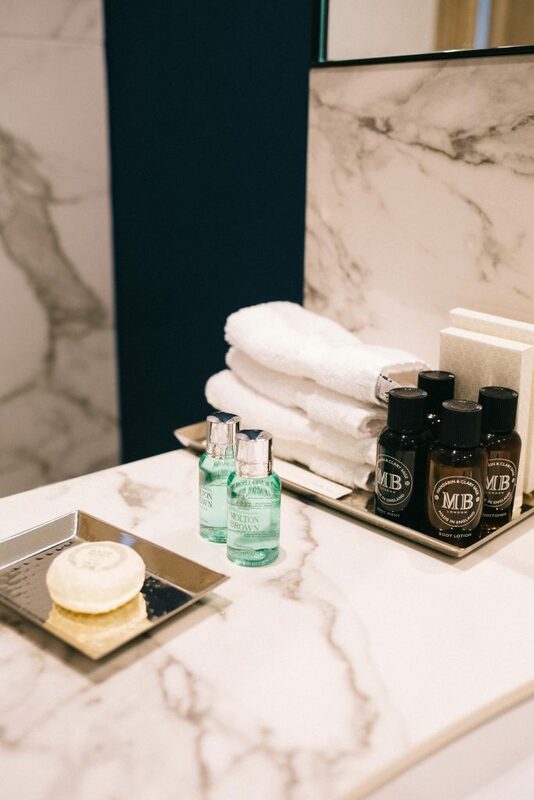 Opening the door to our own room, we could already hear her inside, no doubt looting the Molton Brown ‘minis’. Prizing the plush dressing gown from Jenny’s hands (along with a couple of complimentary chocolates from the York Cocoa House), I instructed her to take a few deep breaths. The size of an average London flat, the Heritage Suite could have housed a small family. Reassuring her that there was plenty of time to explore the suite – including a soak in the large marble bathtub – we sat in the afternoon sun and plotted our adventures around the city. 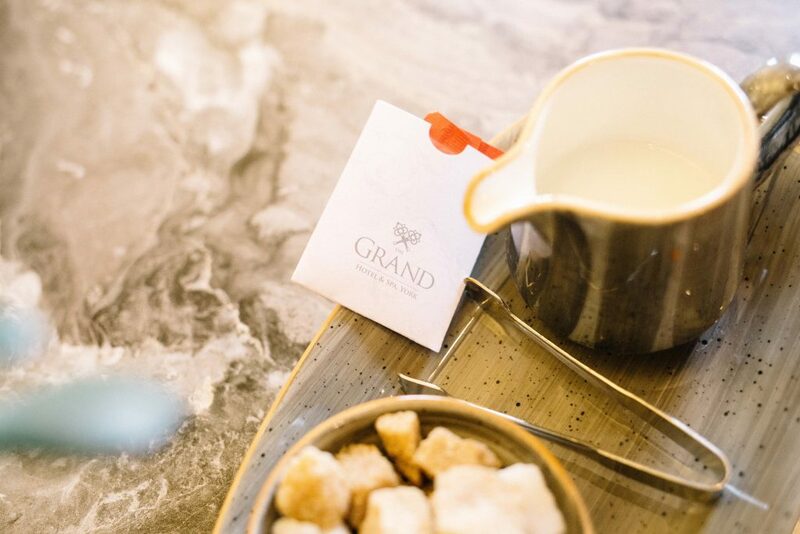 For those staying in the suites at The Grand Hotel & Spa York, additional access is provided to the sumptuous White Rose Lounge. The only hotel outside of London to offer a five star lounge, this was perhaps one of our favourite spots. 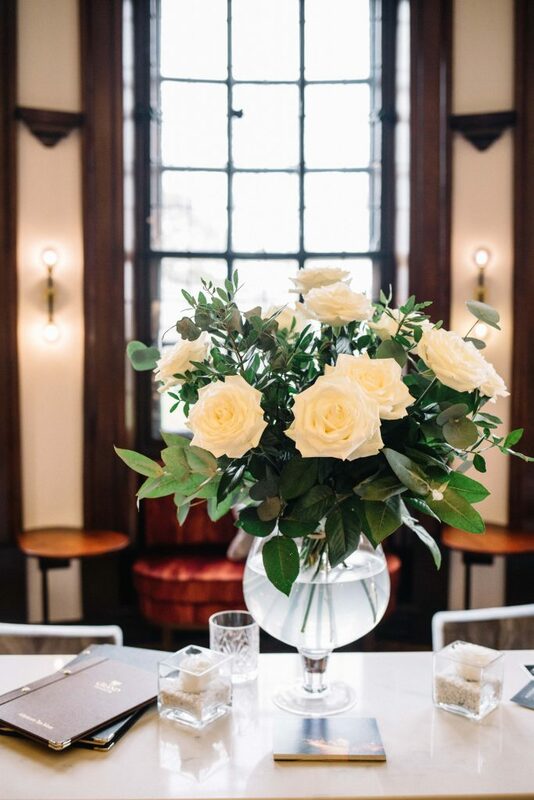 Stocked with non-alcoholic and alcoholic drinks, pick ‘n mix, snacks and canapés in the evening, the White Rose Lounge offered a luxury inner sanctum, filled with fresh roses and glowing lights. Pouring ourselves a glass of wine, we took our seats around the fireplace; each of us sporting the same smug smile. Laughing until we cried as we remembered our university days, we spent far longer in the lounge than we’d anticipated; the delicious canapés proving difficult to leave behind. Now, a mini hen party wouldn’t be complete without a spa experience, and so we dutifully arranged for Jen to get a little TLC. Located within the former vaults of the hotel’s original building, the spa featured a large pool, jacuzzi, steam room and sauna, and peaceful treatment rooms. Lazily making our way down to the spa in our complimentary robes and slippers, we dropped Jenny off at the reception for her 45-minute hot stone massage. As a Mum of a two-year old, I’ve never seen someone more delighted by this news. Meanwhile, Laura and I eased ourselves into the spa’s jacuzzi, safe in the knowledge that this hotel was earning us serious of brownie points. An hour later, Jenny appeared a seemingly revitalised woman. “I’m walking on a cloud,” she said as we made our way back to the suite. For those unable to prise themselves away from this slice of five star luxury (and who can blame them? ), there are a number of dining options available. For those looking for something informal and relaxed, the newly opened The Rise restaurant offers a delicious modern menu. Alternatively, if you’re looking to truly indulge, then Hudsons offers a fine dining experience, including both a nine and five course tasting menu. Opting instead for the traditional student favourite – a calorific Indian meal – we decided we’d treat ourselves to Hudsons on our inevitable return to the hotel. 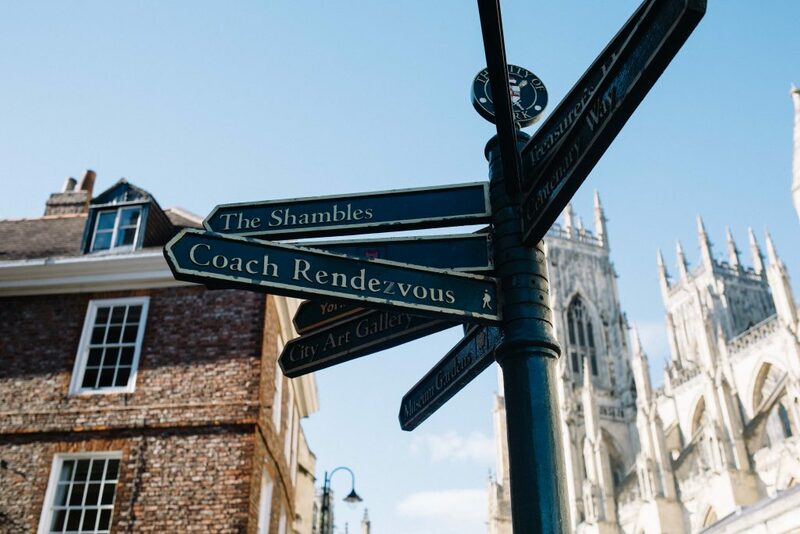 Having explored every inch of the hotel’s warmly lit rooms, we reluctantly left our luxury retreat behind in order to explore more of picturesque York. We began by tracing the city’s 3.4km of perfectly preserved medieval walls – a site that draws a whopping 2.5 million people each year. On a bright and breezy Sunday morning, we set off – the entrance to the walls just a stone’s throw from our hotel entrance. Offering beautiful views across the city, we opted to take in half of the route (the full walk taking around two hours). The entrances, known as ‘bars’ (a word used to describe the impressive gatehouses that line the walls) are dotted throughout the city and are incredibly easy to find. A very handy guide to the walking the walls can be found here. 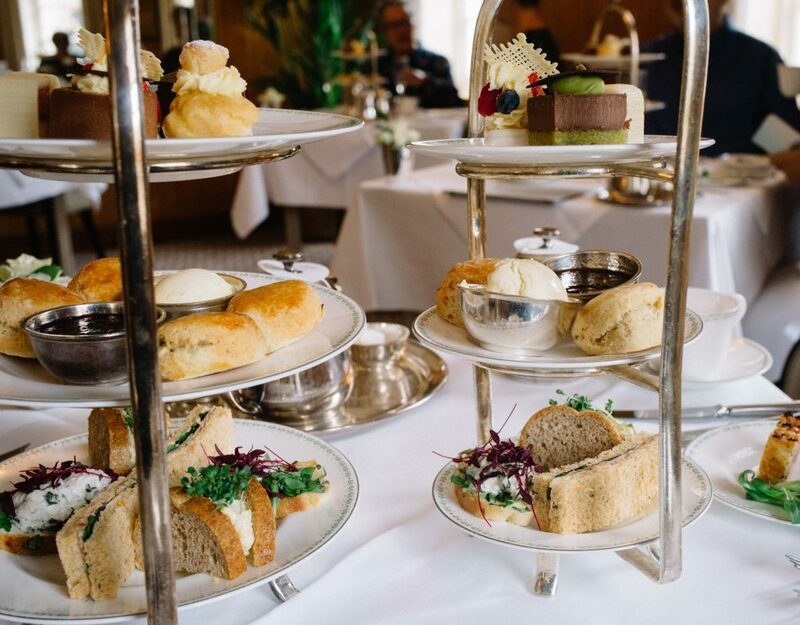 A rite of passage for anyone visiting York is Afternoon Tea at the infamous Bettys Tea Room. We opted for the pre-bookable Lady Betty Afternoon Tea; the more luxurious sister of the Traditional Afternoon Tea. Served in the beautiful Belmont Room – complete with live pianist – we dined like queens and ate like kings (until we felt a little bit sick). As the pianist moved through song after song, we made our own way through the menu of delicious appetisers, delicate sandwiches, hot scones and miniature cakes. It was all, of course, accompanied by endless pots of tea and a glass of champagne. Two hours later, and with the imminent arrival of our train, I forced down one final ham sandwich (my seventh of the day), and sipped the final dregs of my delicately flavoured tea. Somewhat of an Afternoon Tea aficionado, I notched this one up as one of the best I’d experienced: the beautiful dining room, bone china and pianist helping to make it extra special. (And, before I forget, Jen’s company). Despite their name, The Shambles are, in fact, some of the best preserved medieval shopping streets in all of Europe. Lying at the heart of the city, their leaning buildings and narrow lanes amass large crowds. Not too dissimilar to scenes from Harry Potter (and with many Harry Potter inspired shops as a consequence), this is one of the most quintessentially English spots that I’ve had the pleasure of visiting. If shopping isn’t for you, a walk down these streets is still a must; some of the buildings still retaining the wooden shelves where meat would have once been sold. 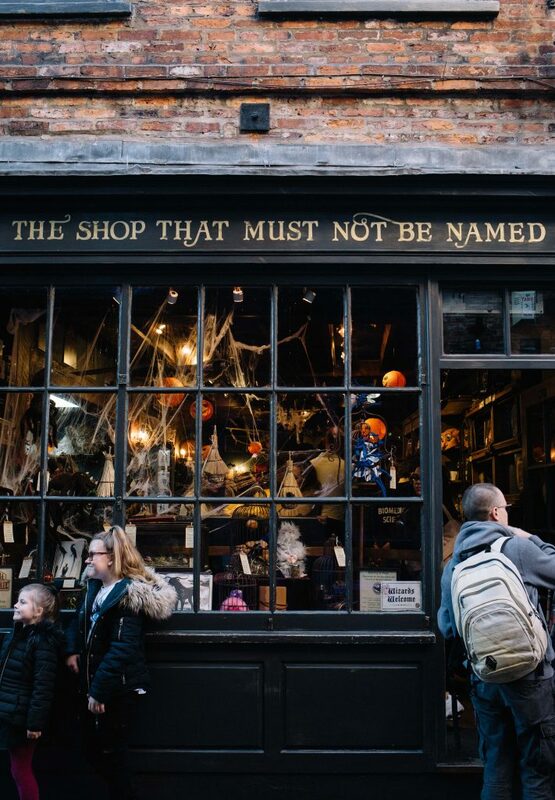 Narrow to ensure that the streets remained shaded for the city’s meat sellers, The Shambles is a fascinating spot to explore. Now filled with quirky cafes, independent stores and the best teddy bear store I’ve ever seen, we admittedly lost ourselves down these cobbled lanes. 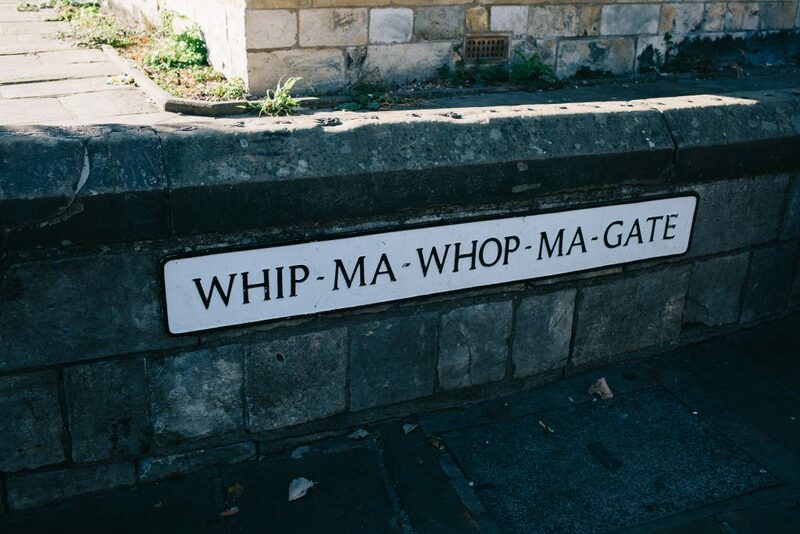 Whilst in the town centre, swing by the smallest street in York, titled ‘Whip-Ma-Whop-Ma-Gate.’ Meaning ‘neither whit nor what street’, this is the shortest street in the city with – ironically – the longest name. After a long afternoon exploring York’s highlights, there was nothing more that I wanted than a steaming cup of hot chocolate. Recommended to us by countless people on Instagram, we dropped our heavy bags and nestled into a cosy corner of York Cocoa House. 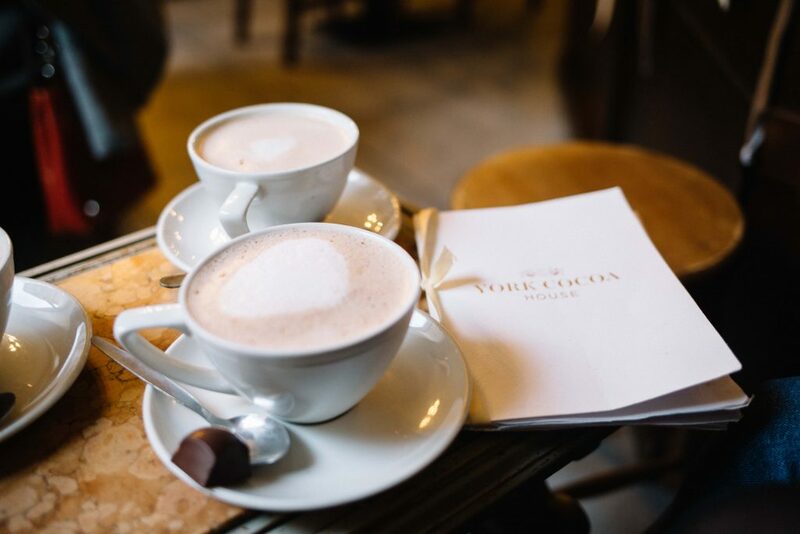 The Chocolate Cafe offered a dazzling array of both savoury and sweet chocolates, as well as an extensive hot chocolate menu. After many minutes of contemplation, we finally selected a peanut butter, peppermint and orange hot chocolate each. Staring out across the cafe into the bustling store behind, we sipped our creamy drinks in a happy daze. Yes, we might not be 21-year old students anymore – gearing up for a night of vodka shots – but 13 years on, we were smug in the knowledge that we were still living our very best lives. Collecting our suitcases from the cheery porter at The Grand Hotel & Spa York, tears threatened. Our weekend together had passed in a blur of laughter and luxury; the prospect of a return to reality making my heart hurt, a little. Time with friends, I reflected on my train journey home, has become increasingly rare as adulthood has taken over. Our weekend together in this luxury hotel was therefore perhaps one of the highlights of my year. 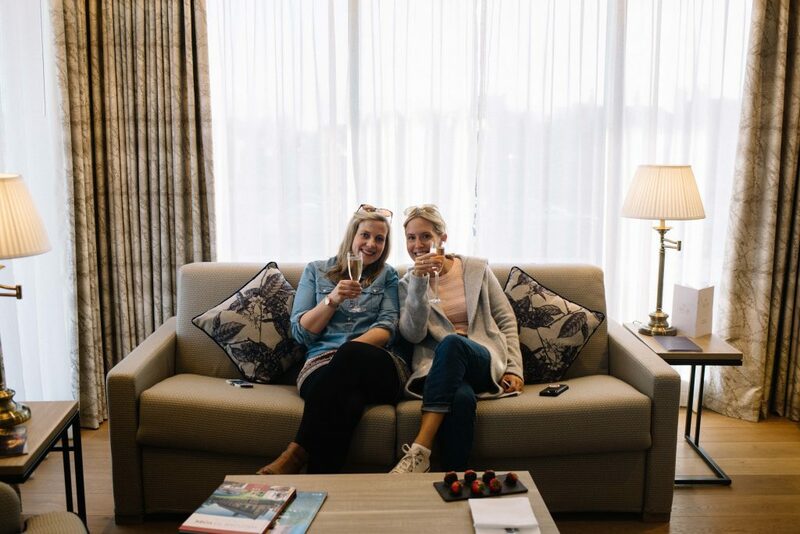 Although travelling is no doubt a brilliant experience, sometimes a weekend away with your closest pal, a cosy bed and plenty of laughter is even better. Thank you to The Grand Hotel & Spa York for a truly wonderful stay! "A Guide to the Perfect Weekend in Venice Beach, LA"